Today, we are all aware of how important it is to be mindful of the environment. The ice caps are melting, bumble bees are dying and nuclear waste is causing devastating problems for the environment. We have all been warned that if we don’t change our ways, our children’s children won’t have a planet to live on. Many of us make the mistake of thinking that making our homes and lifestyles greener is difficult or requires big changes, but that isn’t the case. Yes, if you want to swap to using solar or wind power, you will need to make big changes. But there are plenty of small ways that you can help to save the environment, as well. Instead of lighting your house with regular bulbs, swap to energy saving light bulbs, like LED E14 Bulbs. You would be amazed at the amount of energy that you could save simply by switching to energy-saving light bulbs. By switching light bulbs, not only will you save money on your energy bills, but you will also help the environment. So switching to energy-saving light bulbs is definitely worth doing. To save even more money on your energy bills, install a dimmer switch. Installing a dimmer switch will allow you to knock more money off of your energy bill. When it comes to saving the environment and going greener, making your home as energy efficient as possible is crucial. There are lots of simple ways that you can do this, such as by turning down your thermostat. Or, by adding a cap to your shower to reduce the amount of water and energy that it uses. Turning off your hairdryer or straighteners at the plug point, turning your TV off, and only charging your phone when it needs it, are a must. 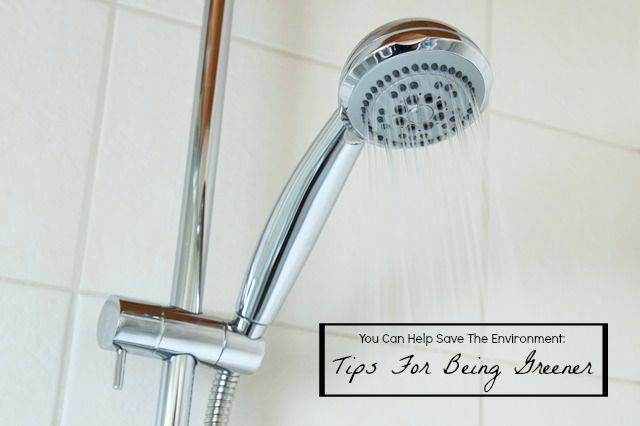 Doing all of these things can help you to save lots of energy, helping the environment. Did you know that most TVs use around 100 watts of power when on and 10 when left on standby, whereas when turned off, it uses nothing? 10 watts might not seem like a lot of energy, but over time, it soon adds up. A mobile phone charger uses five watts of power when turned on, and two watts, when left, plugged in. It’s not much, but again, over time it all adds up, which is why it’s always best to turn all appliances off when not in use. Many people don’t recycle, this means that tons of paper, plastics, and metal that could be recycled are put into landfill sites every year. If you are lucky enough to have recycling bins where you live, make sure to make an effort to use them. Do you want to save the environment? Yes- then start recycling - it really is important. When it comes to going greener and helping to save the environment, there are plenty of things that you can do. To get yourself started, follow the simple tips above, and then go from there.